Joyce Wycoff Connecting through Art: Extreme Gratitude and a Failed Experiment ... ? Extreme Gratitude and a Failed Experiment ... ? A friend recently recommended two of Pam Grout’s books: E-Squared: Nine Do-It-Yourself Energy Experiments that Prove Your Thoughts Create Your Reality (free to Kindle Unlimited members) and Thank & Grow Rich, a 30-Day Experiment in Shameless Gratitude and Unabashed Joy. Pam has a delightful, casual, practical approach to spiritual matters as well as a marked fondness for experimentation. I’ve fallen in line like a duckling, embracing the extreme gratitude she encourages. Proclaim as you get out of bed that “something unexpected, exciting and amazingly awesome is going to happen to you today." Come to believe in blessings and miracles. 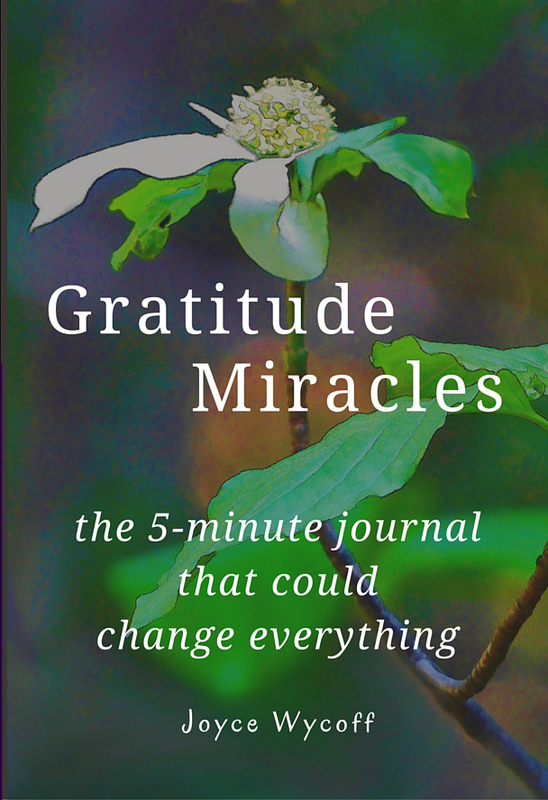 Pam’s Recommendation: To keep from falling back on old habits, she recommends posting three gratitudes to the world (such as Facebook) every day, making sure they are different every day and watching carefully for the miracles and blessings and note them as they show up. Then I decided to add her 48-hour “field of possibilities” experiment to the mix. This experiment requires that you spend 48 hours looking for evidence of the “all-knowing, all perfect FP (her term for the field of infinite possibilities). She adds, “To up the stakes, you’re going to ask the FP for a blessing or what I call an unexpected gift.” She emphasizes unexpected. This is not you asking for something. This is you setting aside skepticism for 48 hours"
"Ask the FP to make its presence known. Ask for a blessing." Last night there was a meeting of Sierra Writers, but it was raining, hard. But, I had promised to be there and I wanted to hear the speaker, a poet. Did I mention that it was raining … and cold? Finally, I bundled up and went. 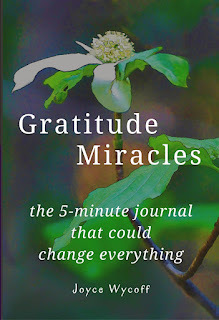 This morning, I did my gratitudes for the day and was thinking about the experiment which, so far, was a bust. “Maybe I need to repeat my request,” I thought. Backstory: Several years ago, poetry came into my life. I don’t remember inviting it, however, all of a sudden it was flooding me. I enjoyed the flood although it was time-consuming. 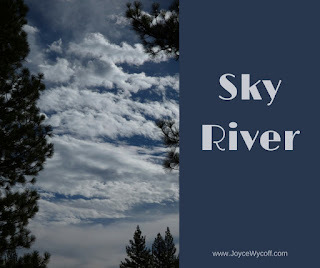 I thought maybe poetry was “my thing.” Two rejections from the Squaw Valley Community of Writers for their Poetry Workshop and a rejection from the Antioch MFA program convinced me that poetry wasn't my thing. And, soon after that, the poetry stopped flowing. The poet who led the meeting last night, Chris Olander, led us through a long writing exercise, using a series of prompts. I had no expectations of outcome. However, almost immediately I fell into a space I recognized, a space where words are in charge, somehow doing what they want without much input from me. Chris gave us pointers on editing and told us to take our writing home and work it. This morning I started putting it into Evernote and realized I was liking it. And, after a bit of work, it was speaking to me, taking me someplace new. Suddenly, it occurred to me that this was what Pam was talking about. This was that field of possibilities taking me back to that feeling of joy that happens when words are flowing easily and effortlessly. I’m not judging the poem that came as good, bad or indifferent. I do know that the feeling that came with it was one I have missed and I'm delighted to see it show up again. Happy first poem of 2017! In case you’re wondering, here’s the poem … obviously influenced by the rain/snow/sleet that has been our state for the past several weeks. 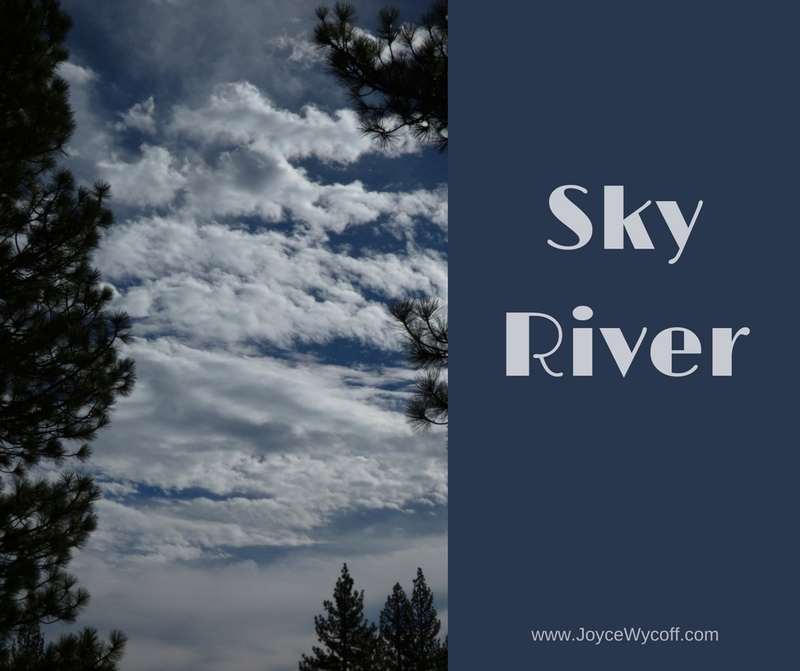 Evening drops moments from Sky River. Glistening bits of life remembered. You are always so inspirational. I think if I asked for a blessing, I'd hear "stop sitting around on-line and get back to editing a friend's book." My FP is a nag.